Do you have some private files that you want to hide from your children? Here is a registry trick to hide a drive or partition in Windows 10/8/7/Vista/XP, so it cannot be accessed from Windows Explorer by inexperienced users. The method is not foolproof though, and users can still access the contents of the hidden drive from Command Prompt or Disk Management. If you have some confidential or sensitive data on a local disk and want to lock / protect it securely, I recommend you use the Protect My Folder application. How to Hide A Drive / Partition from Windows Explorer? If the Explorer key does not exist, you can right-click on Policies, select New Key and name it Explorer. 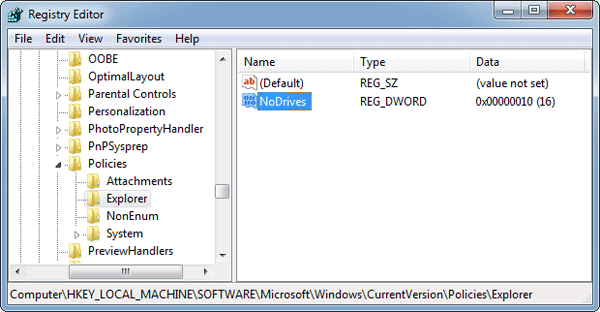 Right-click on the Explorer key, select new 32-bit DWORD and name it NoDrives. 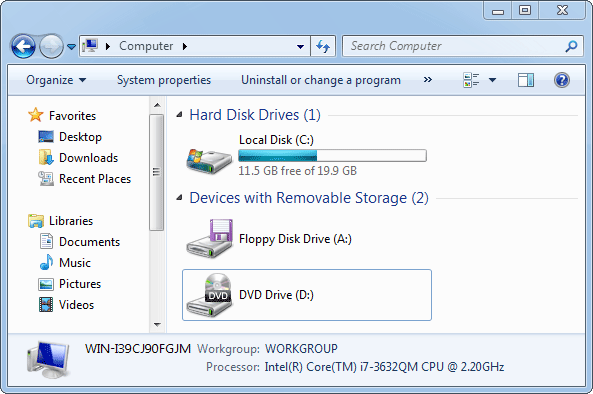 Double-click on NoDrives and then choose Decimal, enter a proper number for hiding your desired partition. For example, if you need to hide drive E:, just type in the value 16. But what to do if you want to hide more than one drive in Windows? Just add the values of the drives that you want to hide. For example, if you want to hide the drives E:,F: and A: you would enter 49 (16+32+1) in NoDrives as the decimal value. Restart your computer and your drive will disappear from Windows Explorer. You can even hide the C: drive without corrupting your system. When you want to get your drives back, just set NoDrives to 0 or simply delete the value altogether.